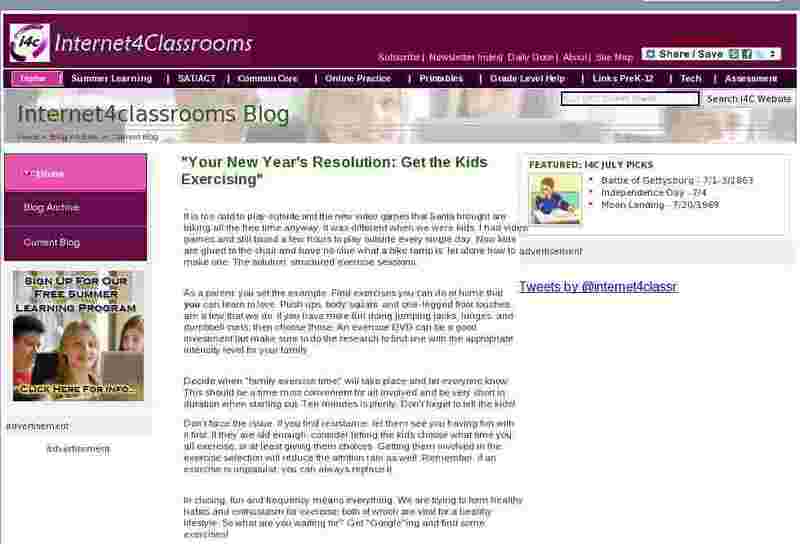 "Your New Year's Resolution: Get the Kids Exercising"
It is too cold to play outside and the new video games that Santa brought are taking all the free time anyway. It was different when we were kids. I had video games and still found a few hours to play outside every single day. Now kids are glued to the chair and have no clue what a bike ramp is, let alone how to make one. The solution: structured exercise sessions. As a parent, you set the example. Find exercises you can do at home that you can learn to love. Push ups, body squats, and one-legged floor touches are a few that we do. If you have more fun doing jumping jacks, lunges, and dumbbell curls, then choose those. An exercise DVD can be a good investment but make sure to do the research to find one with the appropriate intensity level for your family. Decide when "family exercise time" will take place and let everyone know. This should be a time most convenient for all involved and be very short in duration when starting out. Ten minutes is plenty. Don't forget to tell the kids! Don't force the issue. If you find resistance, let them see you having fun with it first. If they are old enough, consider letting the kids choose what time you all exercise, or at least giving them choices. Getting them involved in the exercise selection will reduce the attrition rate as well. Remember, if an exercise is unpopular, you can always replace it. In closing, fun and frequency means everything. We are trying to form healthy habits and enthusiasm for exercise; both of which are vital for a healthy lifestyle. So what are you waiting for? Get "Google"ing and find some exercises!